Venus Star Ring / 9k Yellow Gold / Black Diamond is currently out of stock, however this piece can be specially hand made for you in 4-8 weeks after your online order has been completed. 9K Yellow Gold with 122 Diamonds. 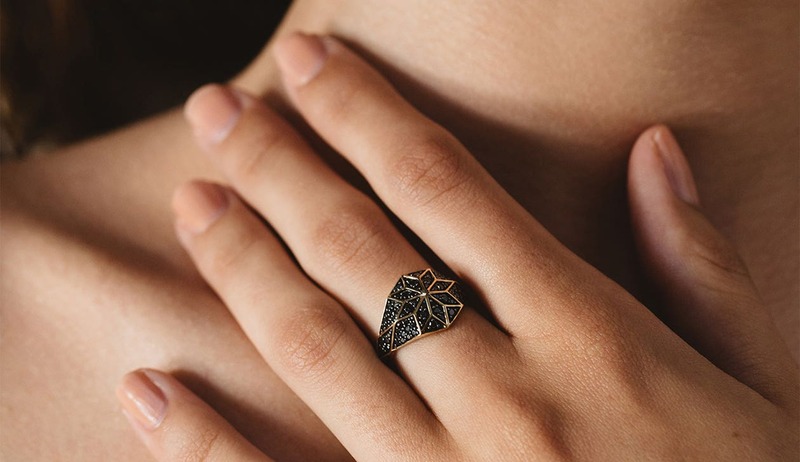 This ring can also be made in Rose Gold or White Gold, with Black Diamonds. If you would prefer this please let us know.